July 1 marked the biggest elections in Mexico’s history, given that a constitutional reform aligned federal and local election dates to increase the number of posts by 60 percent compared to the 2012 general elections. Voters cast ballots for president, both houses of Congress, the head of government in Mexico City, eight governors, and local posts in 30 out of 32 states. But the elections were historic for reasons that went well beyond their sheer size. Mexicans—worn out by violence, corruption, and limited economic opportunities—showed their dissatisfaction with the governing Institutional Revolutionary Party. They turned out in droves for a third-time candidate, leftist Andrés Manuel López Obrador, who frequently railed against the “Mafia del Poder.” He beat his next-closest rival by roughly 30 points and, with preliminary results showing him snagging 53 percent of the vote, became the first president in three decades to win more than half of ballots cast. His party showed strong results across the country, and the next question is how this massive shift will define Mexico’s future. Here are seven numbers to know in the final countdown to the July 1 vote. A Shaky Debate Won't Trouble López Obrador. It Might Even Help Him. Mexicans may not place faith in government but, as a new survey shows, they trust civil society to step up. An initiative launched in March demonstrates why. More people will vote in Brazil in 2018 than in all other Latin American countries combined. 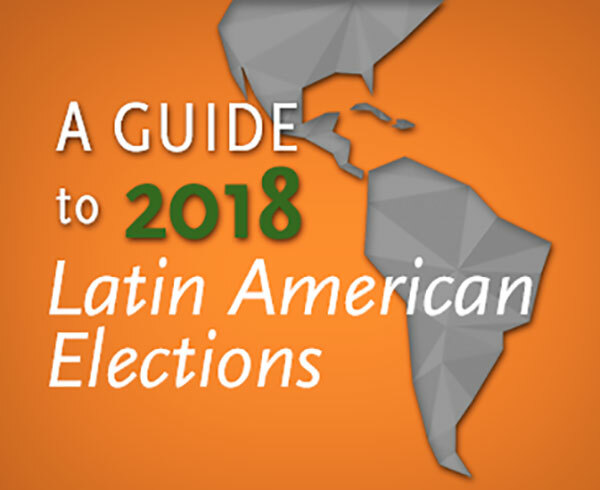 AQ brought together an expert panel to discuss issues ranging from Russian meddling to fake news to the market's effects on Latin America's 2018 elections. In this new issue of AQ, we preview the region’s 2018 elections – and explain why anti-establishment nationalists are rising in the polls.